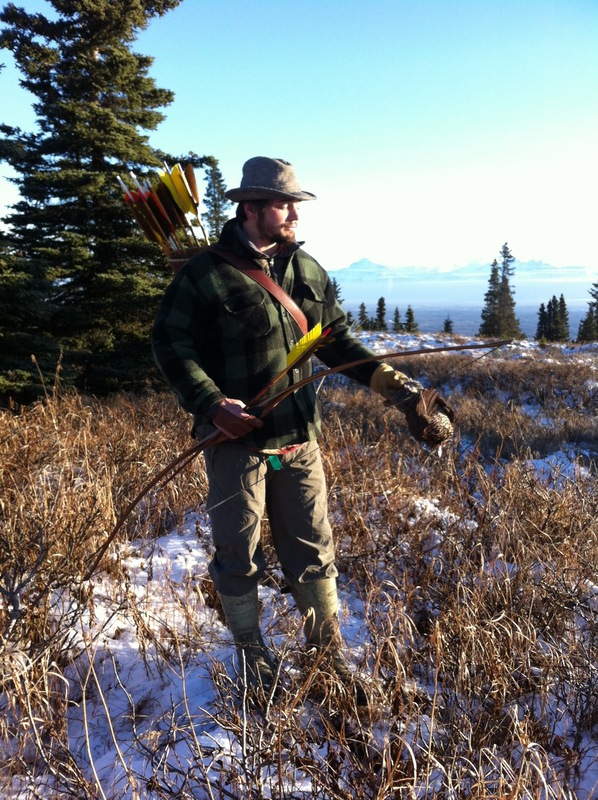 Today Vince Pokryfki and I took to the woods with our longbows in hand. 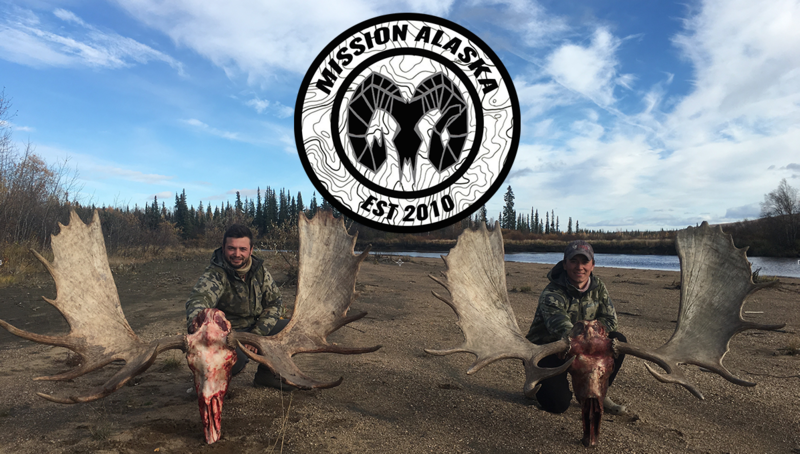 Getting out to stretch our legs and loose a few arrows turned into a fun filled adventure. 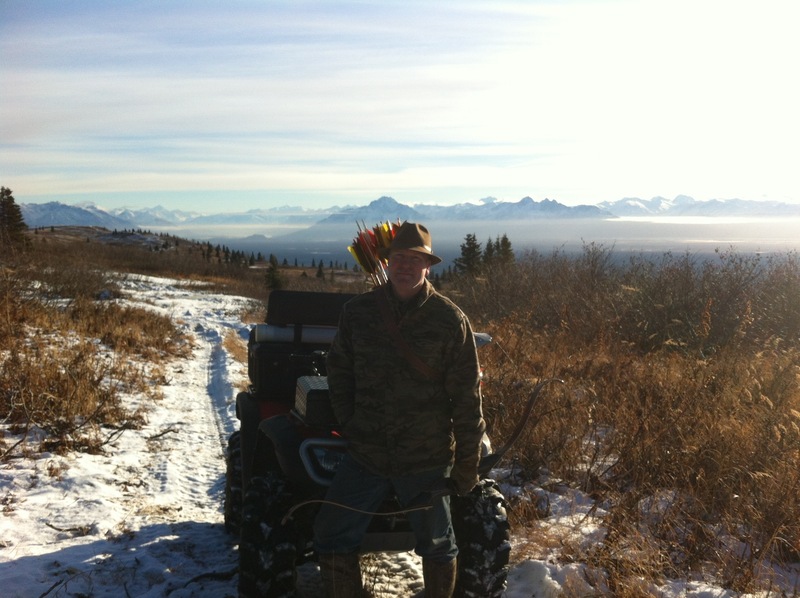 Riding Vinces four wheeler above tree line and into the mountains was an easy enough task. Upon reaching our mountain top vantage point we were granted spectacular views of the Matnuska Valley basin set between the Talkeetna and Chugach mountain ranges. 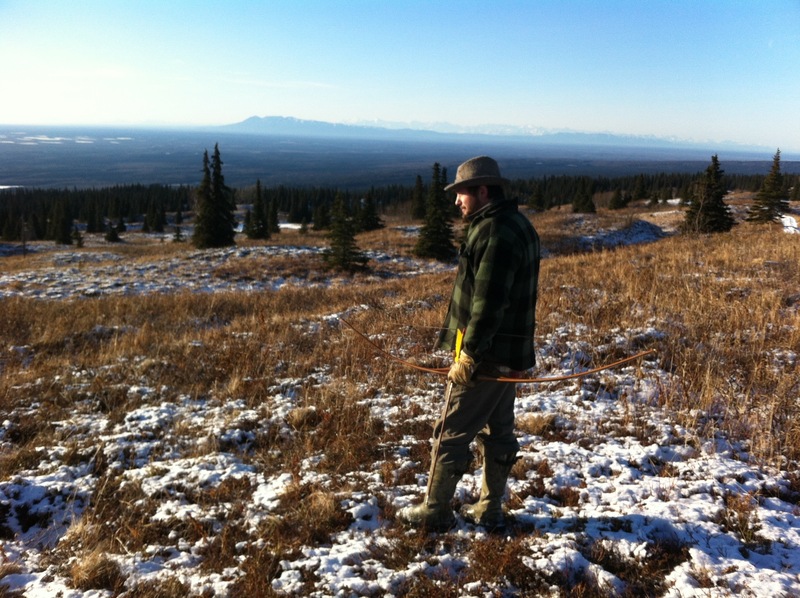 With small game and exercise set as our main objective, we started walking through the thickest cover we could find. 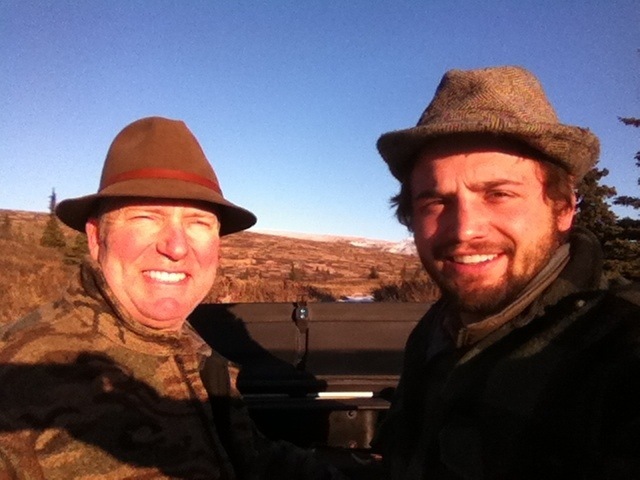 Small game season consists mainly of grouse, rabbit, and squirrel. After an hour or so of walking and enjoying our time of solitude, I spotted movement coming from under a spruce tree. The movement coming from a perfectly camoflague grouse, silhouetted against a snowy backdrop the quarry seemed uneasy. As I circled the tree the bird began to move forward in preparation for flight. I pulled the bow back reaching for my anchor point. As soon as my middle finger touched the corner of my mouth the arrow was off with deadly intention. Striking the birds head, the shot was instantly fatal. The day was a success and once again I thoroughly enjoyed the time spent in the woods. 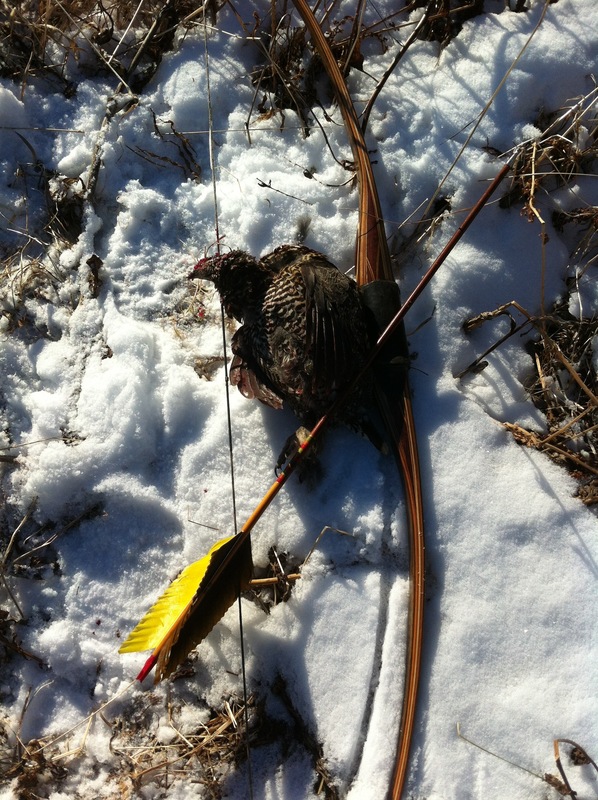 Check out the pictures taken today during the hunt, archery is fun and I suggest you try it.